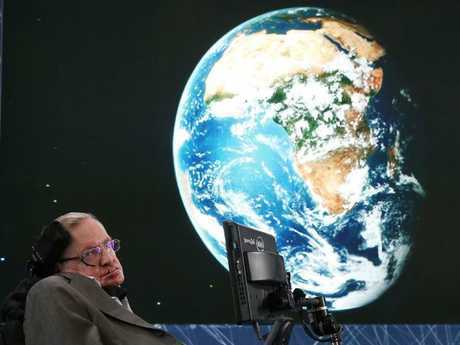 THE greatest mind of the generation - physicist Professor Stephen Hawking - has died at the age of 76 after a long struggle with motor neurone disease. His children Lucy, Robert and Tim said in a statement: "We are deeply saddened that our beloved father passed away today." If you hadn't seen the wheelchair-bound genius on documentaries or the news, you'd probably have had a window to his early life through the movie The Theory of Everything. He lived decades longer than his doctors predicted when he was diagnosed with amyotrophic lateral sclerosis (ALS) - Lou Gehrig's disease - when just 21. By the end, he had lost almost all control over every muscle in his body. For years he's only been able to communicate through individually tailored technology, exploiting what limited muscle control he had to activate a virtual computer keyboard. He never gave in to despair. And through his thoughts, he opened new horizons for humanity. 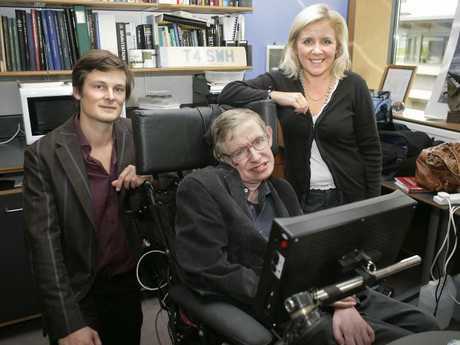 Brian Dickie, research director of the MND Association, previously said most sufferers live for less than five years - "the fact that Stephen Hawking has lived with the disease for close to 50 years makes him exceptional". The rest of the world will always remember Hawking for his groundbreaking work on the origins of the universe, space and time - and black holes. 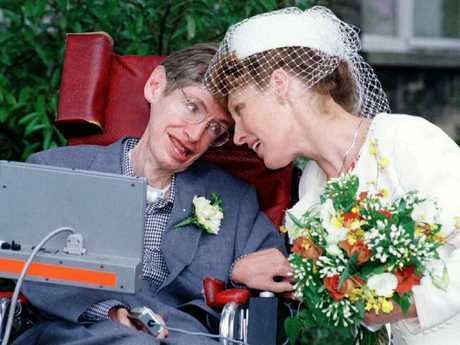 Professor Stephen Hawking with wife Elaine Mason after marriage ceremony at Cambridge Register Office 15 Sept 1995. 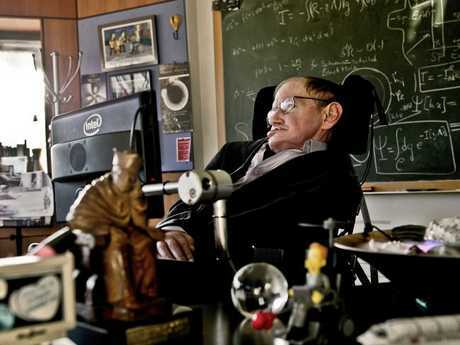 Much of Hawking's work centred on bringing together relativity (the nature of space and time) and quantum theory (how the smallest particles in the universe behave) to explain the creation of the universe and how it is governed. In 1974, aged just 32, he became one of the youngest fellows of Britain's prestigious Royal Society. Five years later he became Lucasian Professor of Mathematics at Cambridge University, a post once held by Isaac Newton. His fame moved beyond academia in 1988 with the publication of his book A Brief History of Time, which explained the nature of the universe to nonscientists, and sold millions of copies worldwide. Hawking's stardom was later cemented in cameos in Star Trek and The Simpsons, where he tells the rotund Homer Simpson that he likes his theory of a "doughnut-shaped universe", and may have to steal it. Martin Rees, Britain's Astronomer Royal and a former president of the Royal Society, first met Hawking when they were both research students "and it was thought he might not live long enough to finish his PhD degree". Rees said his survival made him a "medical marvel", but stressed that it was his work that would prove his lasting legacy. 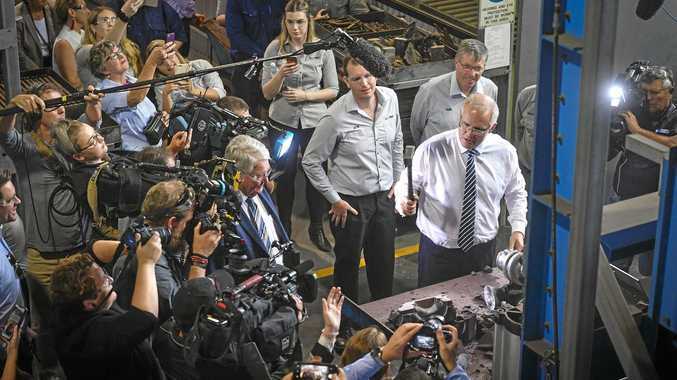 "His fame should not overshadow his scientific contributions because even though most scientists are not as famous as he is, he has undoubtedly done more than anyone else since Einstein to improve our knowledge of gravity," he said.